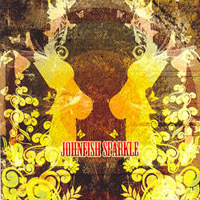 Johnfish Sparkle was born from the ashes of JackyJail (2004/2008) at the end of March 2008. The Band was formed by two JackyJail ex members respectively: Dave Perilli on bass guitar and RobGasoline on Drums togheter with Al Serra on Vocals and Lead Guitars they went to form this Rock powertrio... The Sound of Johnfish Sparkle starts exactly were JackyJail left...Doin a genuine mix of blues based riffs with a strong classic rock style. They are influenced by Delta Blues and so many 70's Hard heavy rock bands like THE WHO, LED ZEPPELIN, CREAM, BUDGIE, HUMBLE PIE, CAPTAIN BEYOND and many more. Their debut album is filled with energic, raw sounds with plenty of good guitar riffing, and good song structues. JOHNFISH SPARKLE have all possibilities of being in front of the new retro rock movement in Italy.